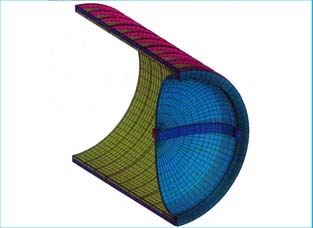 Finite Element Analysis - O'Donnell – O'Donnell Consulting Engineers, Inc.
We perform finite element analysis (FEA) to Codes including API, AWS and ASME to ensure structural integrity, performance and reliability. 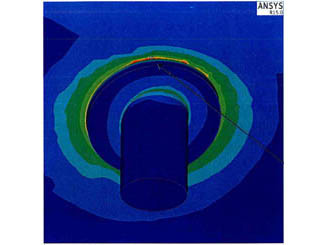 This includes thermal/ transient, stress, vibration/shock and fatigue analysis. 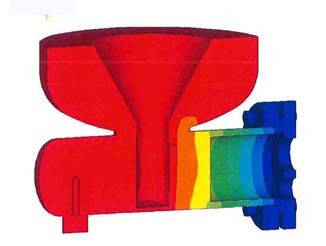 The benefits to FEA analysis are quantifying design cycles, keeping production costs low through design optimization, and uncovering potential sources of operational/field failures – as well as improving reliability and minimizing costs. We have served industries including Petrochemical, Mining, Manufacturing, Transportation, Aerospace and Energy. 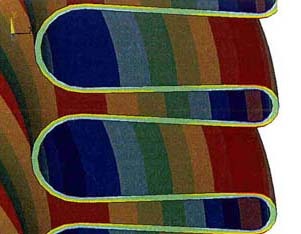 Finite element analysis requires a working knowledge of stress analysis and materials principles to get the answer right – the first time. Our engineers are multi-disciplined in areas of materials, design, metallurgy and manufacturing – each with more than 25 years of experience.